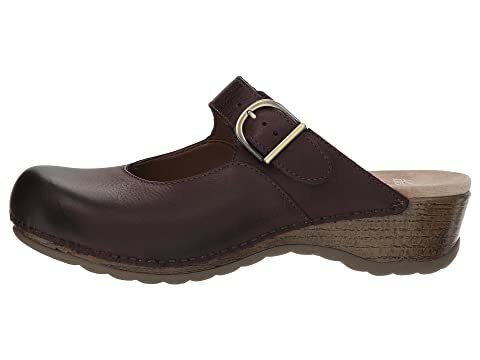 Make waves the with modern Martina mary jane clog from Dansko®. Oiled Leather: heavily oiled, matte-finish leather with optimal pliability and moisture resistance. Oiled Nubuck: has the same closely napped, silky feel as Nubuck, but with noticeably more oil tanned into the leather. Naturally occurring blemishes are slightly more visible in these areas and suggest a more rugged appearance. 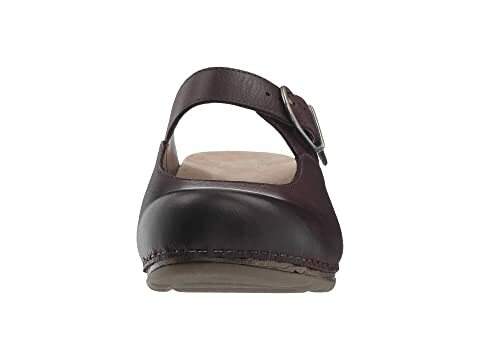 Nappa leather: typically known for being soft and supple. 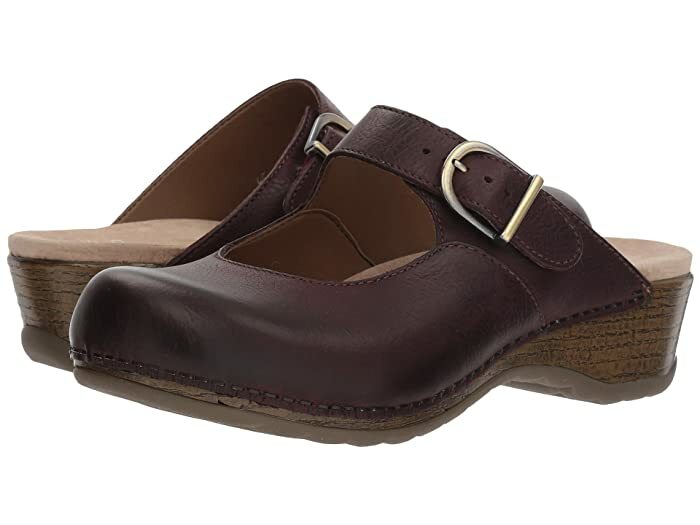 Easy slip-on style with an adjustable buckle closure at instep. 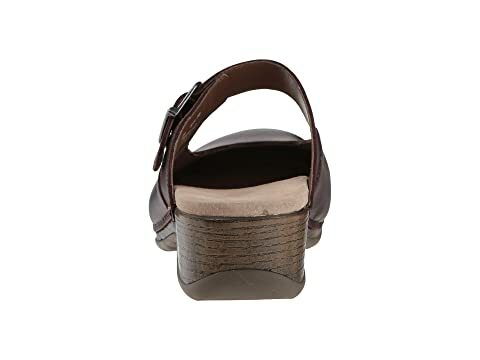 Roomy toe box provides durable reinforcement and toe protection and allows toes to move comfortably. 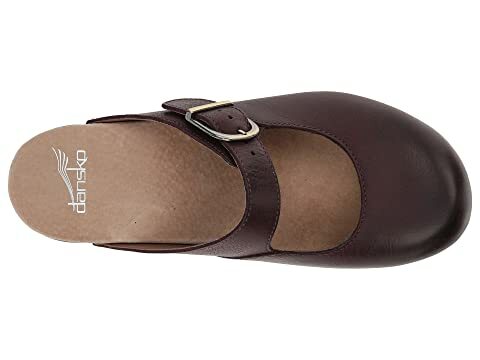 Smooth and breathable leather linings create a healthy foot environment. 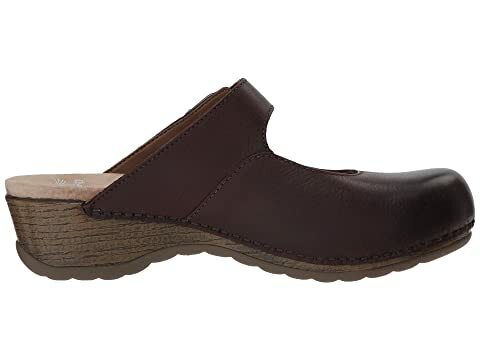 Breathable leather-wrapped footbed offers added arch support for all-day comfort. 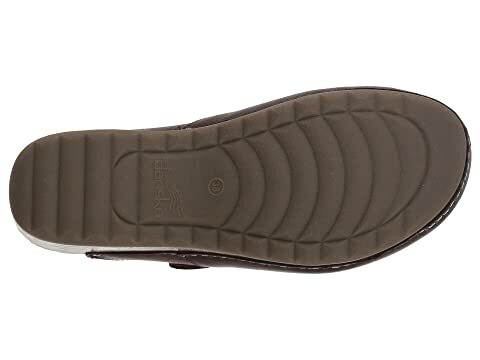 Durable rubber outsole with a rocker bottom for an easy stride.